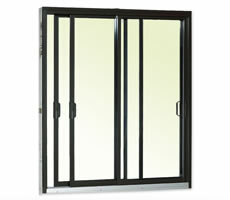 Patio Doors That Let The Outside In…. Enjoy the best of both worlds of outside access and inside visual scenery with your choice of energy-efficient, vinyl-clad patio doors from MD&W’s extensive selection of patio door products. With features & benefits of higher-grade models, M9000 series patio doors combine the high performance of uPVC with the traditional appeal of wood to provide the maximum in comfort, durability and overall value. Beauty is in the eye of the beholder and our showroom has patio door and entrance treatments that will let your imagination find the right design and glass treatment along with hardware accessories that meets with your approval. Patio Doors have a lot of potential and there is a lot to know. Consider dropping into our showroom, examine the patio door display model and ask questions of our entrance experts. There are a lot of design considerations as well as practical questions to be answered. We have the answers if you have the questions. Drop in today. Click here to view our walk through video of our showroom and better yet, come in and see for yourself what we have to offer for your entrance decisions. 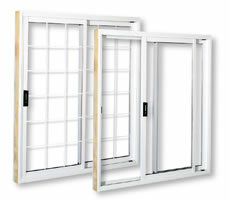 Enjoy the best of both worlds with energy-efficient, wood-clad patio doors from MD&W. Steel-reinforced meeting and side stiles for enhanced durability. Exclusive sliding system with adjustable, dual tandem wheels. Smooth, easy, quiet. Robust screen system includes a galvanized steel frame bar and a snap-on bug deflector. Mechanical corner assembly with corner bead. Stands up to wear and tear. Laminated Glass: Some glass packages contain laminated glass. A transparent interlayer is adhered to a pane of glass, acting as a barrier against energy loss, noise transmission and forced entry.